Hi Peter, here are some more close up pictures, thanks. Thanks Peter, for all this good information, I agree there is nothing like experience , thanks again. Nice that you found the cause of that hue. That should solve the problem. Now, as to the jar being possibly Ming, I would suggest looking at many Ming jars. You will probably not find a single one which has no glaze over neck and shoulder. 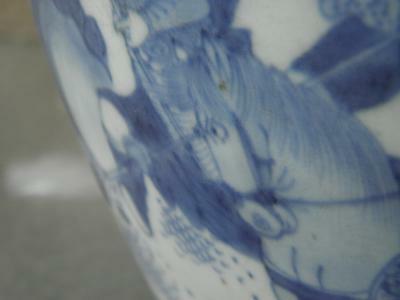 An unglazed neck and shoulder is a typical identification characteristic for ginger jars being from the Qing dynasty. 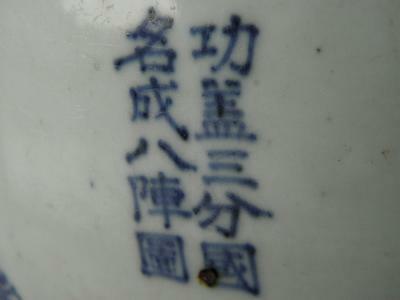 Only in the late Qing dynasty did some the jars have glaze, especially those for export. It is not that the neck was not glazed, the glaze was scraped off before firing, to accomodate the lid. 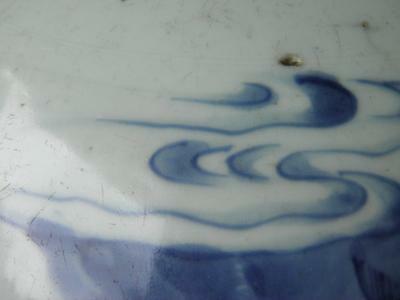 Also, this specific jar shape is typical for the early Qing dynasty (about 18th century), not sure if it could be 17th. 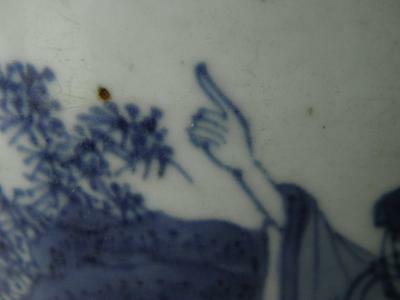 Hi Peter, another cloudy day here in Oregon, I received another appraisal for the jar and to my surprise it was dated from late Ming to early Qing: circa 1628-1650, and I glad that I held out because it turns out that this vase is quite valuable and they offered me a fraction of what it is worth, so for everyone that has valuable Chinese antiques, I recommend that you get a real appraisal before you sell your items, you just won't know the true value until you do, Now to be fair to Peter and all viewers, Just how important the pictures we send are for evaluation, for example I took the jar that I listed at first and put it up to the computer screen and I could clearly see that with those pictures it would be impossible to judge, the blues were intact a different color, it was out of focus and the one that were focused simply had the wrong color, when I first got this vase I was so excited to list for examination that I did not consider these fundamental considerations, the last pictures I sent were the best they are more true to the color, I took it out sine in the back yard and set it on a table where I took the pictures. not thinking that over head is a green awning that cast a subtle greenish hue, so for everyone I suggest before you post your pictures take the piece and compare it side by side to the real piece and you can see if you need to adjust lighting or exposure settings, the man pointing his finger on the jar is pointing at the moon, unfortunately the calligraphy is Illegible. Thanks Peter for your web site I have really learned a lot and the next time I post, I will make sure I keep these simple procedures in mind thanks again. Stan, what I have some trouble to accept is the filling color of the horse's body and clothing, which looks as if it is slightly yellowish. Anyway, some items are difficult to judge accurately without handling. This may be one of those cases. I undertand your attitude, I also don't sell items I do not have a similar one, or if I got one I do not know much about. 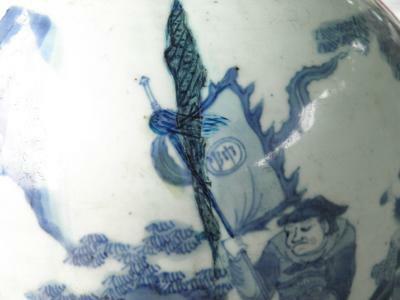 The bubbles are there in all items of the Qing dynasty. Size, etc. may be of some importance, but sometimes it doesn't matter. The bubbles are the result of water in the glaze during firing. They make a glaze less transparent. Good that you were able to sell something of the items. They are looking everywhere for such now, it seems. But the item they buy aren't always authentic. Here it is said that sometimes are so eager to buy things (even at auction) that they buy items that are thought to be incorrect by others. Hi Peter, I took these pictures out side, I think they are a better for the true colors and they are a little clearer, it is still overcast out side here in Oregon, I value your opinion, do you still have dots about the period and could you give me a little more detail as to the writing, thanks from stan.